This will be carried out in two phases. First phase, support the MOHCDGEC in the formulation and finalization of the National Strategy on Last Mile for Elimination of OD and Accelerating the Achievement of SDG targets on sanitation and hygiene for Tanzania 2018-2025 document with an aligned costed plan. Second phase, will entail supporting 6 UNICEF-target districts in Mbeya, Iringa and Njombe regions in developing own sanitation strategies (ODF strategies - 5 districts and one Post-ODF strategy for Njombe district) with aligned costed plans based on their local contexts. The purpose of this External announcement is to attract suitable Water Supply, Sanitation, Hygiene (WASH) Behaviour Change Specialists from outside the organization for inclusion in the WASH roster for Eastern and Southern Africa region. The purpose of the WASH roster is to ensure that our regions' WASH programming is in line with the organization's strategic goals, by improving quality advocacy, programming, evaluation, assessment and service delivery. Therefore, it is not a regular vacancy announcement but rather a campaign to attract candidates with strong WASH experience interested in short term assignments with UNICEF. 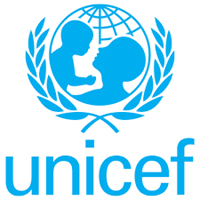 This announcement is targeting External candidates outside of UNICEF with interest in working with the Regional Office (based in Nairobi Kenya) and in any of the countries within UNICEF's Eastern and Southern Africa (ESAR) region for the next 24 months. The countries within each region are listed on the following web site http://www.unicef.org/infobycountry/index.html. The roster serves as an intermediate between consultants interested in working on UNICEF consultancy/TA assignments, and Regional Office/Country Offices seeking support. 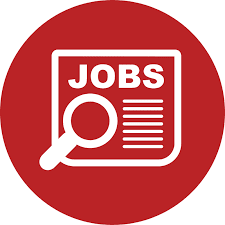 It is a list of vetted individuals that are viewable by the Regional Office and Country Offices that are looking for consultants/TAs who can help them in specific assignments, missions or projects. Once a suitable individual is found in the roster, a selection and hiring process commences immediately.